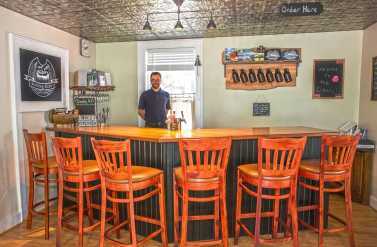 Upstate New York has always been known for its apple orchards and sweet ciders but hard cider, the apple-based alcoholic beverage that is about the strength of beer, is becoming a more and more popular beverage of choice. 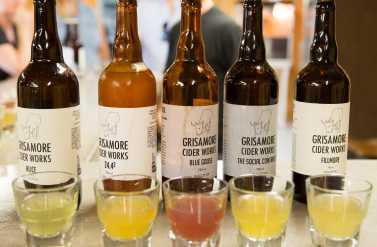 Hard ciders can be dry or sweet, mild or tart, made purely from apples or with added other ingredients like berries and spices. Sterling Cidery in northern Cayuga County makes all of their craft ciders by hand, starting with fresh-pressed local apples. Their oaken and hopped ciders are aged with American oak and cascade hops, respectively, and the Cassis gets a splash of 100% Black Currant juice. Try a tasting flight of cider, served in order from dry to sweet and pick your favorite to fill the growler you’ll want to take home. History books tell us that Thomas Jefferson and George Washington were huge cider fans, so why not make a little of your own history by enjoying a Finger Lakes Cider? !